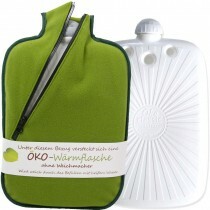 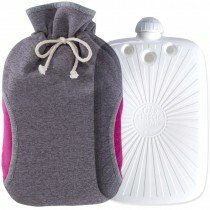 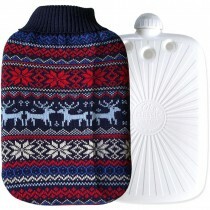 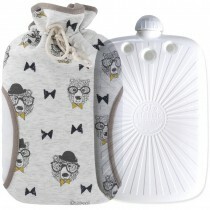 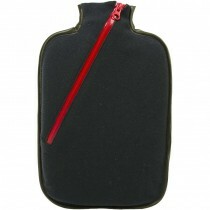 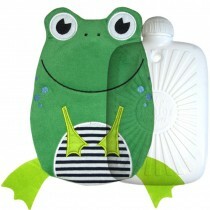 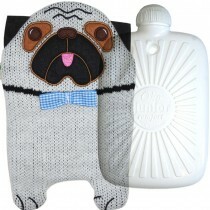 Embrace the winter chill with the new generation hot water bottles made in Germany from eco sustainable thermoplastic! 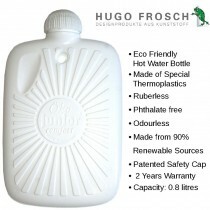 Hugo Frosch – a Bavarian based company - has been advancing the warmth science for over 15 years and truly knows how to protect from cold on a freezing winter day. 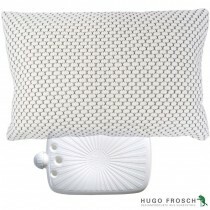 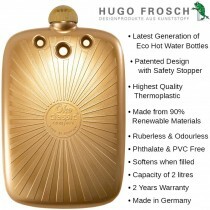 Hugo Frosch brought together the latest technologies and natural materials, to produce truly innovative and ecologically beneficial hot water bottles for everyone who would like to act in agreement with sustainability and ecological awareness. 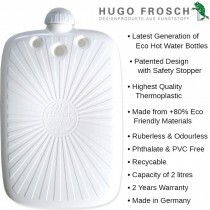 Authentic “Made in Germany” quality protected by a patent confirms Hugo Frosch eco hot water bottles are the best in class. 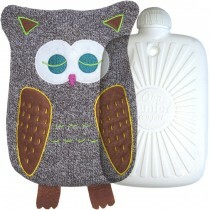 And they make perfect eco gifts to keep your loved ones cosily warm this winter.